InshaAllah next few posts will be on Allama Iqbal as his 74th death anniversary is coming. pahla comment aap nae delete keyo kiya bara afsos howa , waja nahi batayeee. Delete nahin kiya, sometimes due to some problem comments late post hote hain. see your comments below. "The Yarmouk forms the border between Israel and Jordan close to the Jordan Valley and between Syria and Jordan further upstream." In the Battle of Yarmouk, Harith Ibn Hisham, Iqrima Ibn Abi Jahl and Suhayl Ibn Amr all fell to the ground severely wounded. Harith Ibn Hisham asked for water to drink. One of the soldiers brought water to him. When he saw that Iqrima was looking at him, he said, “Take this water to Iqrima.” As Iqrima received the water he saw that Suhayl was looking at him, and he declined the water, saying, “Give it to Suhayl." But Suhayl died before the water could reach him. At that the water-bearer ran to Iqrima, but Iqrima had also died. He ran over to Harith, but he had expired, too." 2: Huzaifa (RA) bin Yamaan narrates from Prophet (S.A.W) that “ War will occur in ‘Zura (Baghdad)’’. Sahaba asked, “What is Zura?” The Prophet (S.A.W) said “There is a city in the east, located between rivers. The worst type of people and tyrants from my Ummah will live there. They will be punished in four ways; Weapons (War), sinking into the ground, Rocks will rain down on them (Bombing) and faces will be disfigured”. And Prophet (S.A.W) also said, “When people from Sudan will emerge and demand to leave the Arab bloc and when they will reach Jordan or Jerusalem, Sufyani will emerge with 360 riders and they will go to Damascus. Not a single month will pass but 30,000 people from Banu Kalb, will pledge allegiance to him. He will send an army to Iraq, as a result of which 100,000 people will be killed in ‘Zura’ (Baghdad). After that they will quickly go to Kufa and plunder it. My question is not related to the topic but i want to ask that why few Arabs will participate in the war with khurassan people, another question is what do you think that sound will be that will be heard in Ramadan 15th 2012 or 2022 or what causes that sound because the warning is to stay inside.May ALLAH Bless you all! The Sufyani's army will go to Kufa; a city in Iraq, and from there he will launch an attack against the people of Khurasan. At the Gate of Istakhr, Shuayb bin Salih and the Hashimite under the black banners, will join forces and engage the army of the Sufyani. The battle will be extremely fierce with a tremendous loss of life and the army of the Sufyani will suffer a temporary defeat. It is at this time that a yearning for the Mahdi's appearance is on the lips of everyone. "When the Ethiopians come after the Arabs they will be defeated and thrown into the lowest part of the earth. While these circumstances exist, As-Sufyani will come with three hundred and sixty riders until he reaches Damascus. After a month, he will be followed by thirty-thousand from Kalb, so he will send an army to Iraq and kill a hundred thousand in Az-Zawra. Then they will go to Kufa and pillage. When this occurs a banner will come from the east led by a man from Tamim called Shuayb, the son of Salih who will restore what is in their hands from the captured people of Kufa and he will kill them. Then, another army from As-Sufyani will go to Al Medina and pillage it for three days and thereafter proceed towards Mecca until they find themselves in a desert. Then, Allah will send Gabriel and say to him, 'Chastise them!' So he will beat them with his leg once and Allah will cause them to be swallowed up. None will remain except two men who will return to As-Sufyani to inform him of the swallowing-up of his army, but this will not scare him. Several men from the Koraysh will escape to Constantinople and As-Sufyani will send to the leader of the Romans who will return them to him and he will slit their throats together with their followers. At that time a voice will come from Heaven saying: 'O people, surely Allah prevents dictatorship, tyrants and their followers for you and gives leadership to the best of the nation of Muhammad. So join him in Mecca -- he is Al Mahdi!" Then, Hudhayfah asked: 'O Messenger of Allah, how shall we know him?' He replied: "He is a man from my children, he looks like the men from the children of Israel, upon him are two white cloaks with frayed edges. His face is like a colorful, glittering star, upon his right cheek there is a black mole and he is forty years old. Al Abdal and those looking like them will come to him from Syria. An-Nujaba will come to him from the dwellers of Egypt and groups of dwellers from the east, and those looking like them until they all gather together in Mecca and so they will pledge their allegiance to him between Al Rukn and Al Makam. Then he will direct himself towards Syria with Gabriel at his front and Michael at his middle and the dwellers of Heaven and Earth will be joyful because of him...."
Taqdeer Allah ki haath mein hoti hai, jab koi insan Allah par yaqeen ker k kisi kaam ka azam kar le aur har haal mein apne azam par qaeem rahe to us ka azam us ki taqeer ban jata hai. Allah swears by the horses when they are made to gallop into battle in His path (i.e., Jihad), and thus they run and pant, which is the sound that is heard from the horse when it runs. (Striking sparks of fire.) meaning, the striking of their hooves on the rocks, which causes sparks of fire to fly from them. (And raise the dust in clouds the while.) meaning, dust at the place of the battle with the horses. 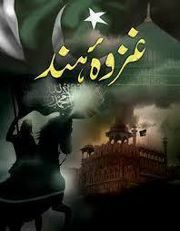 Hakoomat baas ALLAH kay lye hay .Surah yousif 40" sazsheen sazshyoon kay galay ka bhanda banna di jatti hain SURAJ FATIR VERSE 34 ALLAH kay fazal say pakistan koo ISLAMIC state of islam bhi banna hay muslamee umma ki setbrahi bhi kerni hay . serware kayenaat koo jahan say dhandi hawayeen atti thi woh yahi khitta hay. Visit Dar-ul-Ehsan website to know more about Baba ji and read his more than 50 books, Visit Quran Mahal, his free eye camps where more than million free operations have been in last 36 years. Then you will come to know what he had contributed for Muslims. BabJi may have contributed to million free eye operations even though i highly doubt that but Bill Gates is giving away $30,000000000 in charity to Humans and not just Muslims , should he not be number ONE for that ? Five most important contributions to the mankind other than Islam? Hindus are intelligent people like any other group but when it come to BabaJis and religion they will drink cow's piss and would not see anything wrong with that , you are no different. Where this technology and contributions to science & mankind had been before 18th century? For 800 years Muslims civilization better then today ruled the world, at that time where these printing press, electricity, indoor plumbing, the automobile and penicillin. You are telling me if the west now did some materialistic progress by taking knowledge from Islamic civilization is better than every thing. Leave very old history, tell me in last 2,000 years which are five most important contributions to the mankind? Can you predict what will happen after 100 years or 500 years, Where the greatest civilization of Firoun and Alexander the Great went? Can you foretell which civilization will rise and which will disappear. Broaden your vision and see what is veiled in the scrolls of fate. Tell me who discovered "Law of Gravitation" first?? Newton came up in 1670 but 300 hundred years ago Maulana Rumi (RA) explained it in simple words, but these spiritual people gave more importance to their Deen. You are impressed and dazzled by the western scientific developments & progress but where is their morality, decency during first and second world wars and wars of recent times. Scientific Developments without spiritual progress results in zero. What British did in sub-continent from 1857 to 1947, through their conspiracies divided the Muslims into tens of sects, looting the each and everything of subcontinent and became the most so called civilized people. Western civilization is biggest fraud on earth but materialist people couldn't see this Dajjal. What you think the Allah who made this universe and everything in it, couldn't reverse the fates of nations? No power in universe exists except Allah so He brings Truth to come out from falsehood and falsehood from Truth. I request you to read Allama Iqbal books first and then see what this world gonna a shape for years to come. and lastly pls provide me the list of chosen people of Allah which are mentioned in last verses of Surah Fatiha (First Surah of Quran). @Hassan Do your reserach ist about Baba je . Visit his Place see the system and Baba je Sarkar never claimed anything for himself , indeed he always mentioned in his books and letters himself as Ahqer dervied from urdu word Haqeer meaning the most low which shows his humbleness n Goodness.He(R.A) said Ham Peer nahi Faqeer hain . He had not a Bank account ,any property indeed he left his Army Job and joined the Army of Allah for Tableegh and serving mankind without any discrimination of race and religion.He never saved anything for tommorrow whether food or money acting upon Sunnah of Our Beloved Rasool salal Laho alehi wasalam .Can u show me this kind of Act by any Non muslim or even Majority of Muslims .Living a simple life with out any shoes and simple dress and refusing the aid from prime minister nawaz shareef and likes .Many by birth Blind ppl Got their eye sight from eyecamp of Darulehsan .Does this not show that Allah s help is with him .Fighting with Ones Nafs is Jihad e Akbar and such ppl never die they just migrate . Shaheed Never Dies . Allah sub logon ko jannat mein jagha de aur lawahqeen ko sabr de. Ye corrupt govt. ki wajah se mulk par azab par azab aa rahe hain magar CJ, Army Chief ki ankhain band hain. Kya in ko nazar nahin ata k azab kyun aa rahe. Ya Allah reham farma. Ab tu yehi kya ja skta hy k hm apnay amaal ko saheh rkhain. Warna jb wo dictator ay ga tu jis k dil main zara bhr b nifaaq ho ga usy us ki saza milay gi. 1- Every person must engage in a lot of astaghfar in all homes because a great calamity is about to befall Pakistan, difficult times are approaching. 2- Everyone should recite this dua: "Allahumma inna naj'aluka fi nuhoor'e'hem wa na'uzubika min shuroor'e'hem" 41 times with Durud Sharif 11 times before and after. Calamities; one after the other...think what is happening! Remember, anything could happen, anywhere to anyone at any moment, there are no set patterns for these happenings nor guarantees of delays/postponements. No one could predict who among us is going to be next. We must turn to Allah before it is really too late. This is not the first time someone is saying about prayers and asking about his forgiveness it is long due. May ALLAH forgive us.We are blaming everyone around us because every thing is getting out of our hand.There are people who are loyal to our country but these corrupt people are making them crazy by creating artificial economic crises so they will easily do their job(destruction of our mother land).If a national knows what is happening then those ISI, military or our lovely government knows more then that.They are playing their but who let them is only ALLAH. We need his mercy more then any thing! On April 20, at around 3-4 pm in Lahore,earthquake jolts were also felt. please will u have any idea about the future of imran khan? as he seems to be a genuine gentelman!!! Hr kaam ka waqat muqarar hy. Sirf ALLAH janta hy k kb kya ho ga. Hmain chahiay k hm apni halat saheh kr lein. You are right brother. ye waqat Astaghfar krnay ka hy. Kal Pakistan main youm-e-dua tu manaya gya tha lekin log phir b baaz nhi atay. Hmain sath sath apnay amaal bhi saheh krnay chahiay hein. tb ja kr baat bnay gi. Sb walli is baat pr mutafiq hein k Pakistan ko tu kuch nhi ho ga lekin Pakistani quom k baray main kuch nhi kaha ja skta. Safai k mosam k baad sirf thoray sy achay log hi baqi rhein gy jin sy ALLAH ny kam lena hy. No doubt he is sincere and gentleman. Lets see whom Allah chooses for that sacred duty of reforming Pakistan. because if the selection is made through direct intervention of fate then results may be different from ground realities. Plan ka girna azab nahi. jis jis ki maut likhi thi ,uss ko aa gayeeyeh azab nahi. iss ko azab na kaho. jis tarah aap log aaj kal imran khan ko aha kehte ho,issi tarah log bibi ke aanay pe bhi khush thay haalan ke maazi emin uss ne mulk o qaum ke sath kya kiya sab ko pata hai. issi tarah imran khan ka bhi sab ko pata hai. lakin behrhaal ab kisi aur ko nahi aan chahiye ,ab koi aur tajarba nahi hona chahiye. upar kisi ne kaha tha ke pesh goi puri kyun nahi hoti toh janab Auliya ki pesh goyi meri naqis rai aur ilm ke mutabiq 2 tarah ki hoti hai kashf ya phir loh e mehfuz ka mutal'a kernay se. kashf mein ghalti ho sakti hai lakin loh e mehfuz ke mutal'a wali pesh goyi ghalat nahi hoti,haan yeh hai ke dua se aksar taqdeer badal jaya kerti hai. 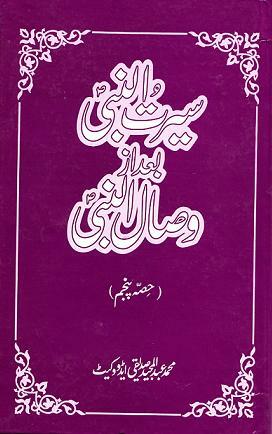 faqr aap ka masnavi wala blg bhi bht zabardast kaavish hai aap ki. Bht mushkil aur kathin kaam aap pura ker rahay hain. Allah aap ko aap ki niyyat ke mutabiq ajar dae. Thanks Brother, This is the real knowledge which the system of Dajjal hides, but now the time is coming for the spiritual revolution in the world. you will see more of such things in future. In Pakistan the most corrupt men are the judges of the supreme court and high courts including chief justice who is wasting the priceless time of the nation in only extending of dates in the corruption cases of the ruling devils,since last 3 or 4 years. After the completion of the government tenure, these corrupt devils will fly to their original masters e.g USA,England or some other western country.Every one know that the government is doing corruption in every matter but due to this lazy and useless judiciary no one is punished or sent to prison.Army chief and chief Justice is only actors in the drama played by the corrupt system. They are doing their acts according to their roll in this evil drama. they all are the same kind of people. Of the modern lot of these babas, Imran Khan has some respect for Rafiq Akhtar sahab. I think what matters most is the intentions of our politicians when they meet these ALLAH's saints. Aur dil ka haal tu ALLAH hi behtar janta hai. Subah dil kuch khush hoa Balochi bhayoon main Pakistan ki mohabat dekh ker, lekin Plane crash pe dil bohat udaas hai. A tribute to Allama Iqbal on his 74th death anniversary in the form of our new blog on ‘Masnavi of Rumi (R.A.)’. Rumi (R.A.) was spiritual mentor of Allama Iqbal. Alhamdulliah, 6 complete Masnavi books of Maulana Jalal-ud-din Rumi with Urdu translations are collected at one place....!! Masnavi is probably the longest mystical poem ever written during period of 43 years with 27,000 spiritual couplets, divided into 6 books by Rumi himself. 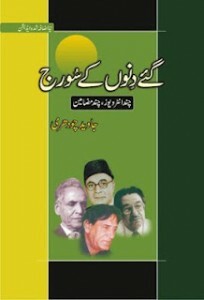 ahmad rafiq sahib ek controversial se banday lagte hain mujhe.WAllahu Aalam unn ki haqiqat kya hai. behrhaal tablighi jamaat ki upar kisi en abat ki thi toh btata chalun ke tablighi jamaat bhi apne khas nazariyat ke pirchaar ke liye kaam kerti hai aur ahista ahista apne arkaan ko tasawwuf aur waseela wagehra jesay aqayed se mutnaffar kerti hai. sufiyon ko taana martay hain ke yeh taarikeen e duniya hain aur khud logon ko puri puri umar apnay so-called tablighi dauron pe guzarnay ki talqeen ekrtay hain. mein toh har maslak ke mulla se tang aa chuka hun.mere nazdek yeh mulla aur allama sirf fatw afactories ban ker reh gaye hain,jahan se har tarah ka har rang ka har lehje ka fatwa dastyab hai.kisi ko kaafir kehna ho,gustakh kehna ho,mushrik kehna ho fori khidmat haasil kerain. ikka dukka log achay hain bhi,magar unn ke khilaf mahaz bandh lia jaata hai baat baat per. I previously learned from your post (1400 Hijri: Predictions By Hazrat Abdul Qadir Jilani RA & Shah Abdul Karim RA From 19th Century Book (Part 1) that writer of "Haqiqat-e-Gulzar Sabri) is the man who revealed the prediction of Sheikh Abdul Qadir Jilani (RA). 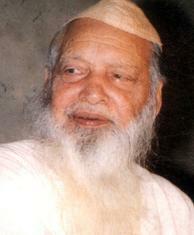 But in this post it is mentioned that this man is Sufi Barkat Ali. This prediction was first time published in book 'Haqiqat-e-Gulzar Sabri' in 1886. It was foretold by Shah Abdul Karim RA that Shah Muhammad Hassan Sabri Sahib will write this book (i.e, Haqiqat-e-Gulzar Sabri) so prediction fulfilled. Now There is another long prediction in same book, last part of which says that another Saint will appear near the era of Imam Mehdi (AS) and he will bring that Prediction (Paish khabri) again (so what is the paish khabri?). Actually it has very deep meaning which I still not posted, but briefly Era of Islam will again start with the arrival of Imam Mehdi (AS) and center will be Pakistan (Sufi Barkat Ali's prediction is about Pakistan and this is the some part of Paish khabri). A'Allah humary dilo mein Imaan ke hararat atta ferman'kay hum iss hararat ko apni kerdar mein mehhsoos ker sakein!Ameen Ya Rab Al'azeem!